Create an account in order to use your library’s RBdigital subscription service. Need help gettings started? These step-by-step instructions will walk you through everything you need to know. 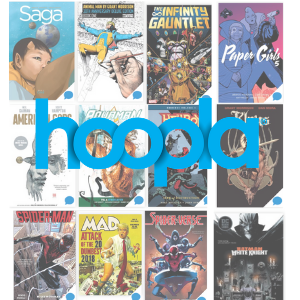 After creating an account, you can view your library’s collection, check out comics and magazines, and read online in the browser or through the mobile app. The collection includes 90 different titles encompassing over 500 issues of comic books, including many Marvel Univese titles.